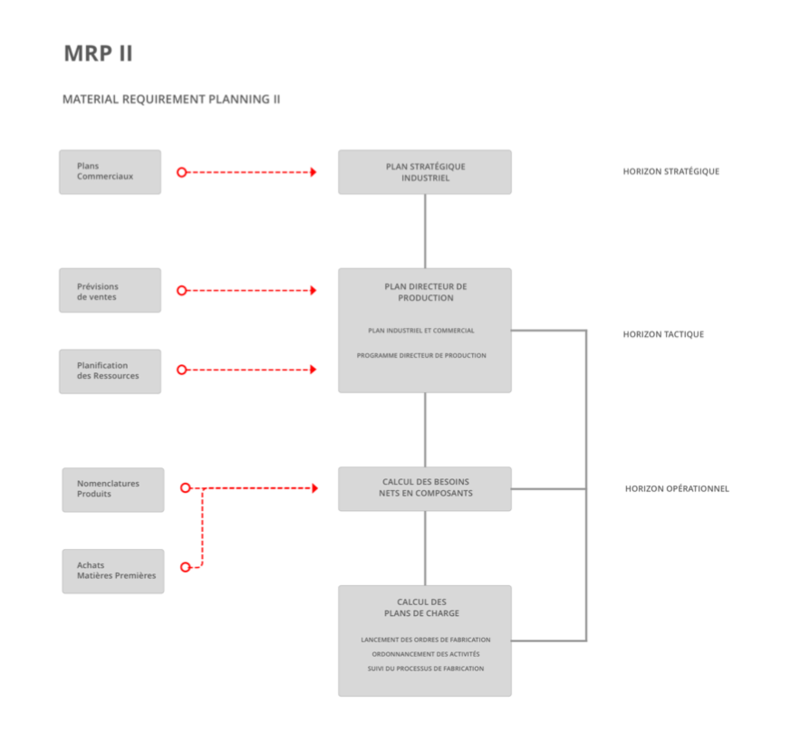 What is Material Resource Planning II - MRP II ? MRP or Material Resource Planning I & II is a major planning process that allows you to perform infinite capacity production planning and prepare for finite capacity scheduling. Based on input data (purchase invoices for raw materials and components, inventory books and production schedule), our module is able to establish recursively the production and replenishment needs integrating all the specific management rules to your industry.